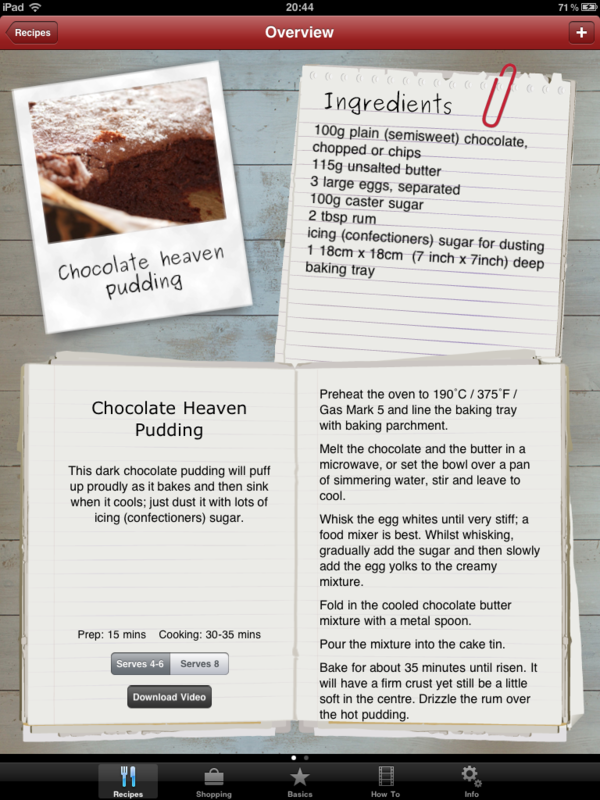 This app was made for TV chef Phil Vickery to support the book “Seriously Good! Gluten-Free Cooking” in conjunction with Coeliac UK. The app is available HERE. The book’s design followed an enticing farm-house theme and we tried to carry this feel and through into the app. The app is in essence a digital cookbook with a number of supporting videos and other information. The app also allows a shopping list to be collated from the recipes. I designed a primary interface that followed a recipe card metaphor that was consistent with the desired look and feel.